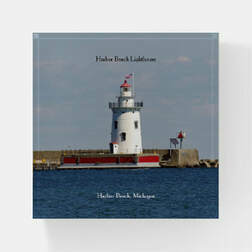 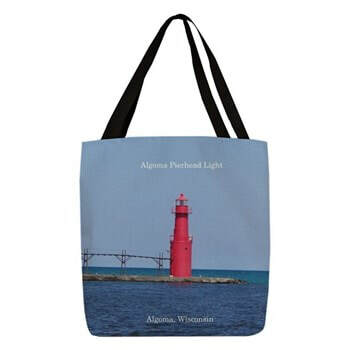 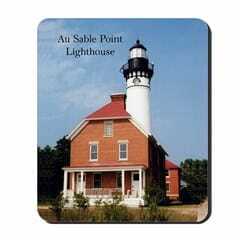 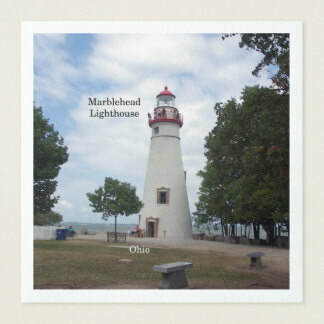 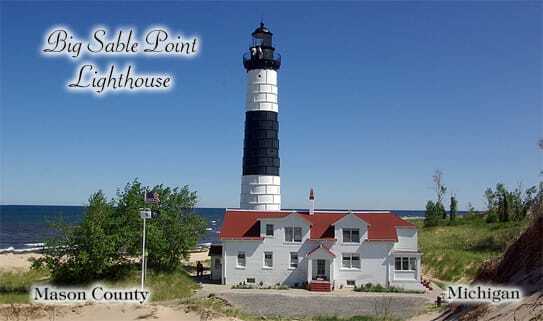 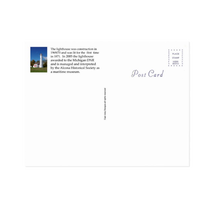 A complete list of lighthouses can be seen for now through my ﻿magnet store ﻿in the more tab. 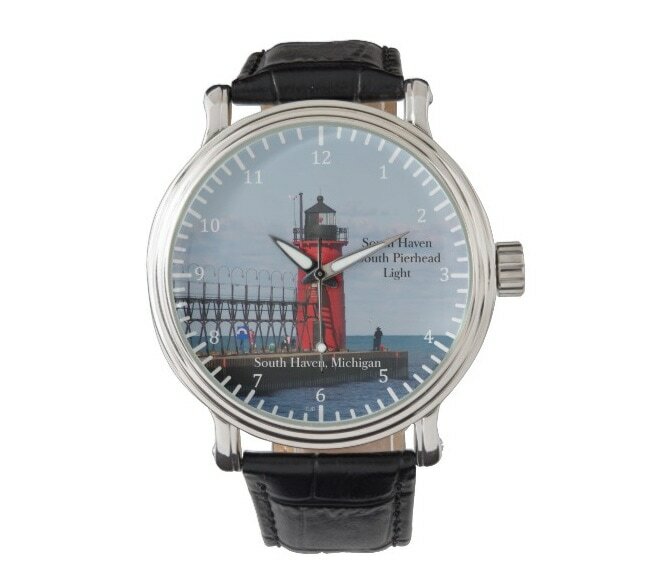 Not every single lighthouse is on everything but can be put on almost everything. 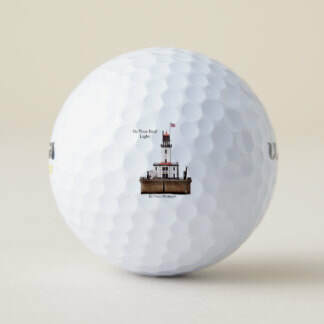 Merchandise includes: Bags, Buttons, Golf Balls, Keepsake boxes, Key Chains, Magnets, Mousepads, Ornaments, Playing Cards, Post Cards, Puzzles, Watches, and more. 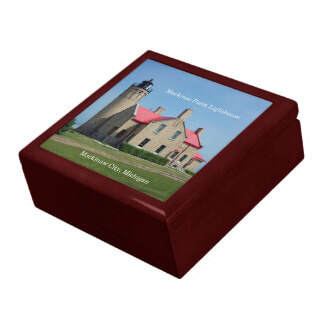 To See rest of Collection click on blue link or photo. 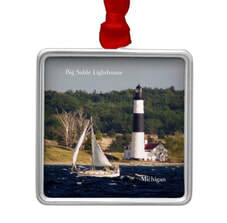 Ornaments from my Zazzle Site: are square,oval and circle made of Porcelain and metal. 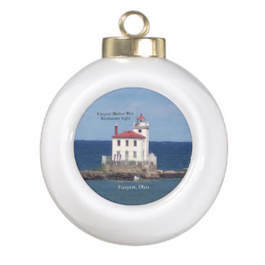 Ball ornaments are Ceramic. 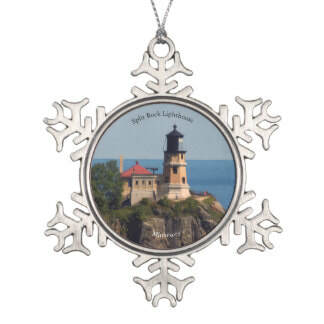 Pewter Snowflake ornaments. 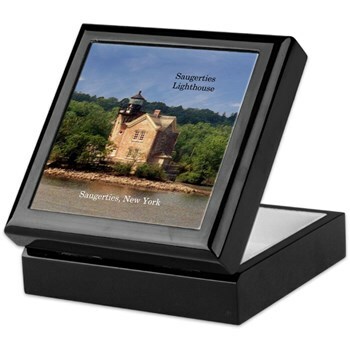 Puzzles on my Zazzle Site: 7 different sizes or Piece numbers available. 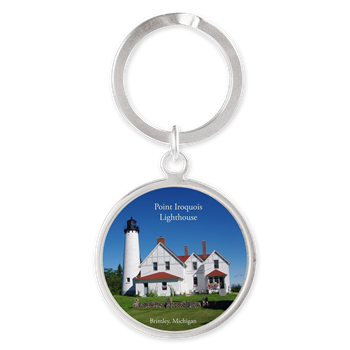 Key Chains from my Cafepress Site: are rectangle & oval made of aluminum. 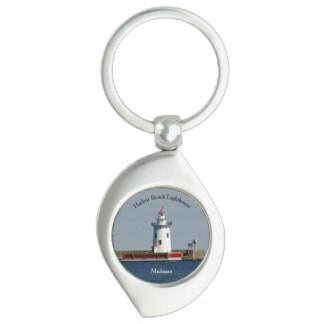 Also Square & Round Key Chains. 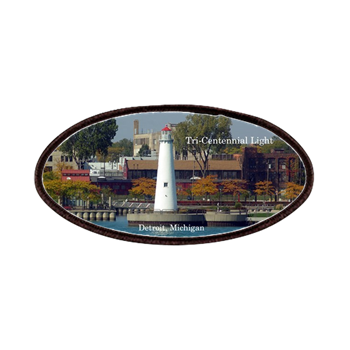 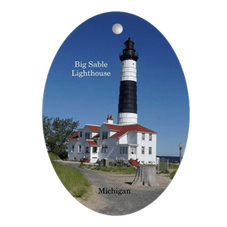 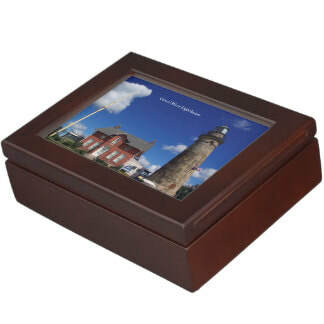 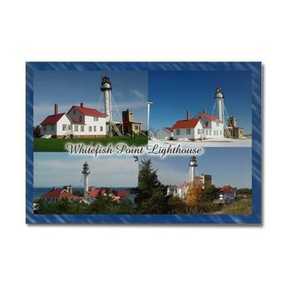 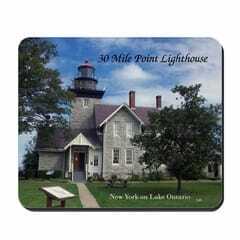 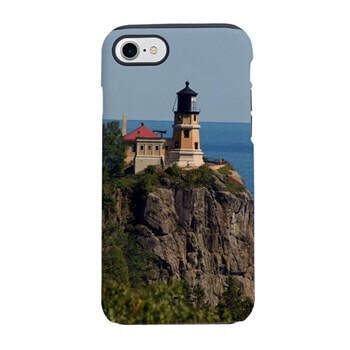 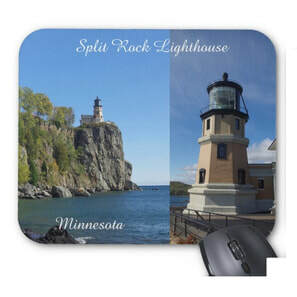 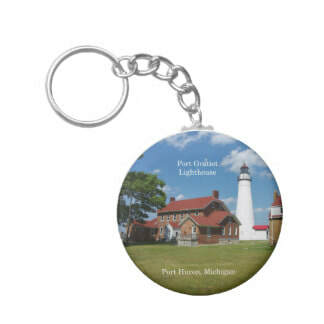 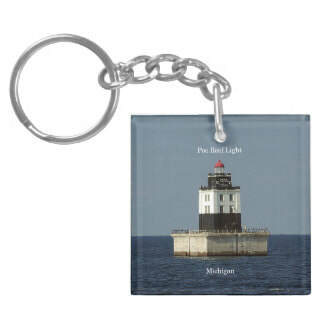 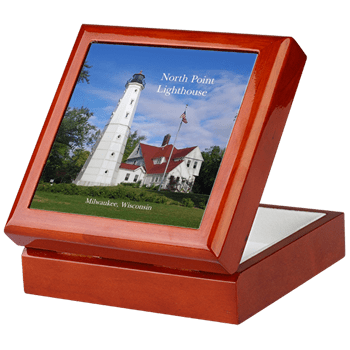 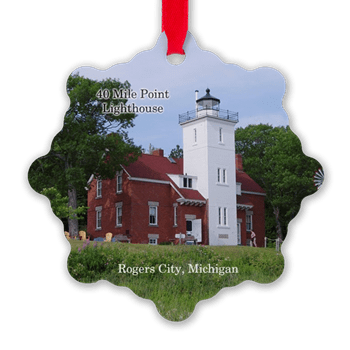 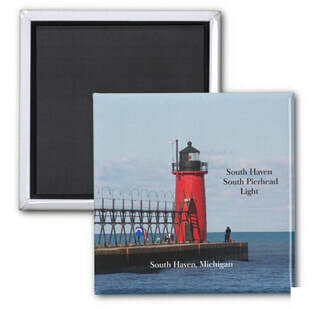 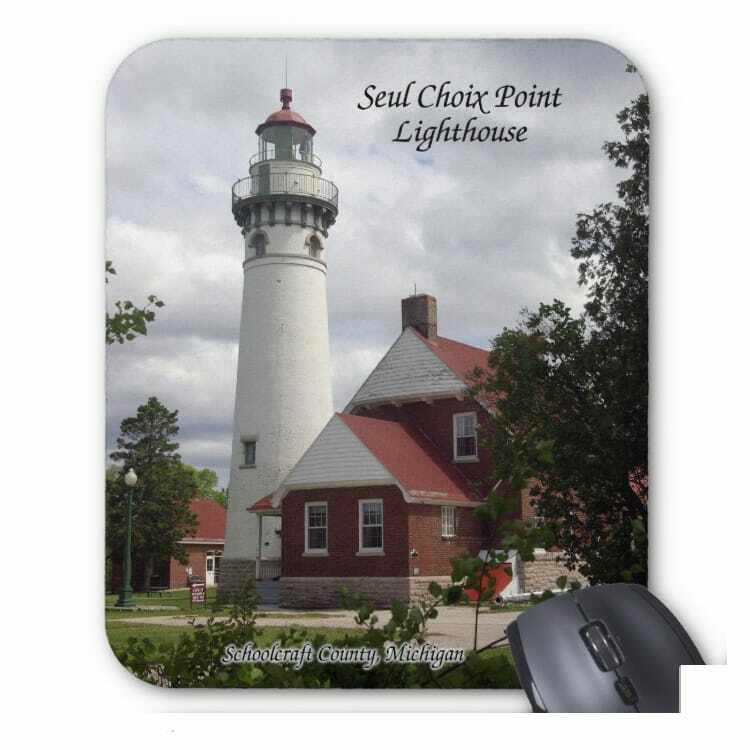 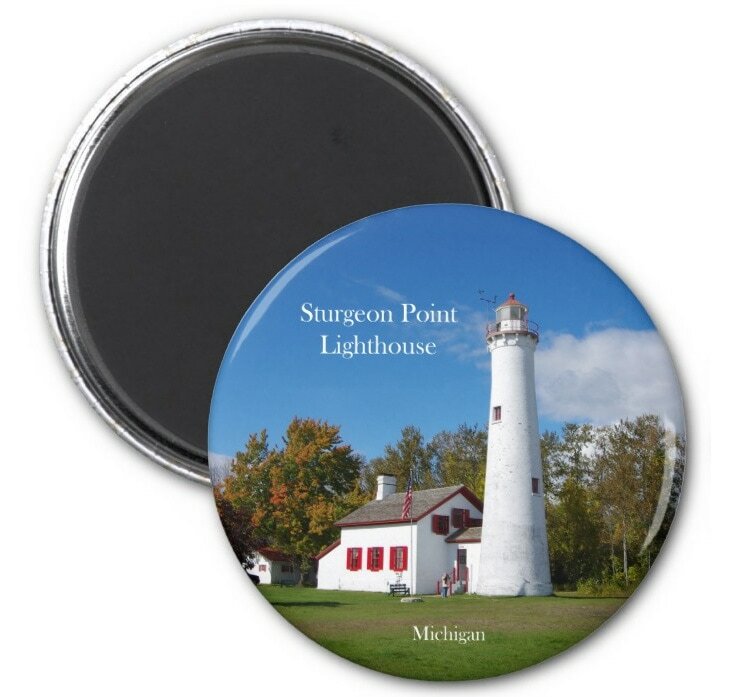 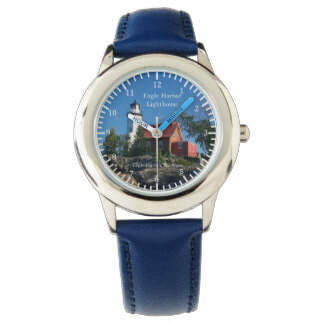 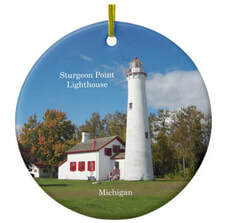 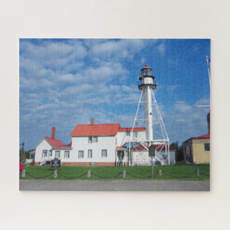 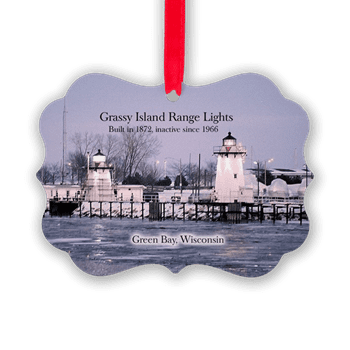 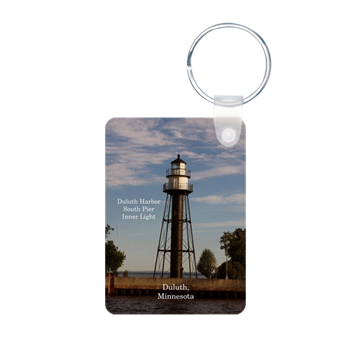 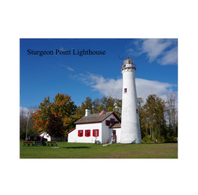 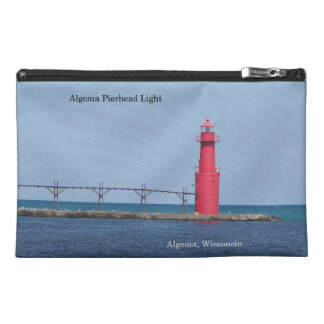 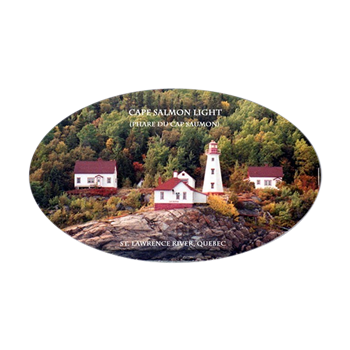 On My Zazzle Site: are high polished glass with felt backing and measure 3" x 3" x .75" or 3" x 4" x .75"
Other Lighthouse Merchandise include golf balls, i phone skins, coolers, socks & wallets under Misc. 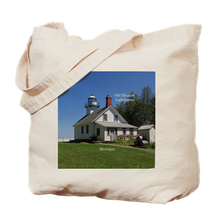 Merchandise. 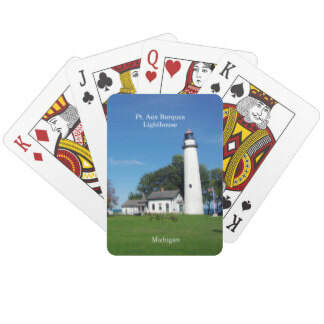 Pack of 50 Paper Napkins under Misc. 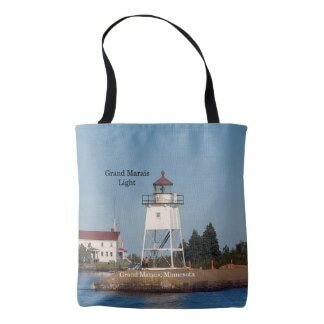 on my Zazzle Site.